I need a sign too. Guess who's not a happy owl? 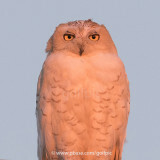 Snowy Owl in beautiful light. Losing my feathers. Snowy Owl moult. Peregrine Falcon is the fastest bird in the world. Your work is food for my soul. Your work it's wonderful, i just love it, keep up the good work !! Wonderful & great photos thanks for sharing! From someone who takes wildlife photos I have to note that you have the patience of a saint. Also I very much wish I had the means to pick up some L glass for my Canon. This is an impressive gallery of delightful pictures. Well done. Fantastic work what an area !V. Awesome and beyond reality such a fantastic collection BIG V.
A host of terrific images here, some of them quite special. Fine work! I'm impressed! The quality of these pictures are stunning! You have some awesome bird photos in this gallery. I will be coming back to look at more. Excellent job. Wow, wow, wow! These are all fantastic, what a collection you have amassed. You should really do a coffee table book or at least offer the best of these a art prints. What lovely work, such nice light and composition. Bravo! So many shots and all excellent... Bravo !!! Cracking set of images, nice one!!! I enjoyed viewing your images - I looked at the whole lot! Well done. I don't know much about birds, but you have numerous good shots here - keep up the good work. You are an inspiration! I live in Orillia Ontario and the great Greys that came here in 2005 started me into Photograghy. Three cameras later I'm still doing it. Owel's are so interesting! Again you are an inspiration. 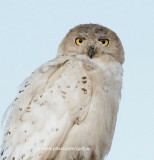 I managed to get a couple pics of a snowy owl last winter, if you have time please check and I would be interested in seeing what you had to say. My handle nik8800 (Jamie Whitfield). I tip my hat Sir! You have captured without any doubt some of the best wildlife's moments. Thank you for sharing and congratulations! One of the best wildlife galleries on Pbase ! Amazing photos! I saw things I would have never been able to see and your picture qulaity is astounding! Great job. What an awesome gallery. The variety and quality is just outstanding. Outstanding gallery! I really like the Snowy Owls and Northern Hawk Owls. Vote. Outstanding...great work here! Thank you!! Amazing collection of bird shots! Wow! So many different birds and great captures. an amazing gallery, very well done!! V! This is one of the best wildlife galleries I've ever seen! Fantastic photography ! Very inspiring... Many many hours of work in order to have such great photos. Thank you for sharing your skill. amazing gallery! wish you organize it better. Great gallery with very nice variety of beautiful birds. Congrats my friend, this is a glorious body of work. Great gallery! I love the crispness of your photos, especially the Blue Jay shots. Way to go! very nice images. Primo warbler shots and the one of the cooper's hawk is especially good. Blues jays 40d post brought me here. a such huge beautiful collection of images..
i have just see few!..i have to come back!.. Fantastic collection of excellent pictures! Beautiful and widely diverse body of work in this gallery. Keep up the good work!! I have to bookmark this gallery it is so huge but so wonderful, such great compositions and wonderful pics. Thank you for posting. I shall keep returning to view and take in your wonderful pics. Many very excellent shots in this extensive gallery. Nice work indeed! Wonderful, I love every picture. wow!!!!!!!! so of the very best!!!! roger tory would be jeaoulous! big vote!!!!!! What an amazing gallery! Excellent!!! Wow, constant very high quality. Well done! Wow ! I'm impress ! I'm new to bird photography and I can tell you that your PBase is a real good source of inspiration. Thanks for sharing those beautifull pictures ! what camera are you using for your birds? Great work for sure, great eye and patient for sure. Your passion for photography is just great. This passion knows how to joint us and to teach us the way the photographer needs to be. Above all technics and gears, it's our passion after all. You have some excellent stuff here. Lots of interesting and unique images. I enjoyed your gallery very much! How do you spell SUPERB? Fantastic gallery full of great shots. The detail in your shots is fantastic. This is a gallery full of fantastic and interesting bird and animal shots! Excellent documentary and artistic work! Superb gallery .... the bird shots are fantastic! Beautiful shots of the Cooper's Hawk in action. Your bird pics...so lovely and great! I've earned a living doing photography for 25 years. I've been seeking creative inspiration, and your photos have given me the feeling I had when I first decided that this would be my career. Very nice work, very inspiring. A fresh view of the world which is so often seen and presented as commercial, corrupt, and doomed. Thank you! WOW, great images! The bird shots are really wonderful, but so are your sunsets.